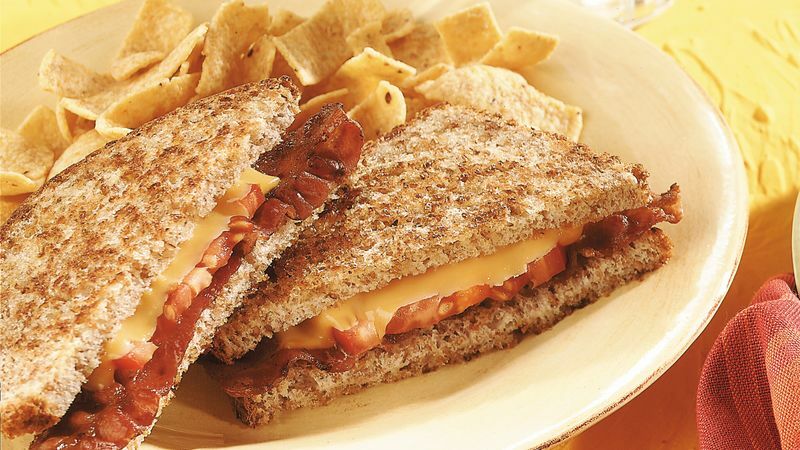 Top 4 of the bread slices with bacon, tomato and cheese. Cover with remaining bread slices. Spread outside of sandwiches with margarine. Heat 12-inch nonstick skillet or griddle over medium-low heat until hot. Place sandwiches, 2 at a time if necessary, in skillet; cook 4 to 6 minutes or until golden brown, turning once.